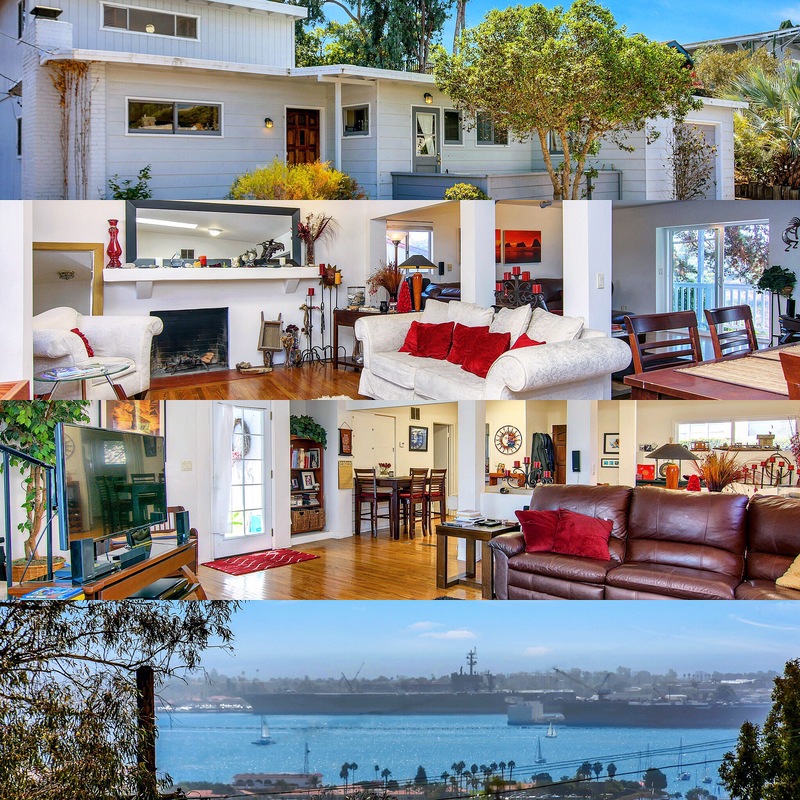 San Diego Real Estate BLOG: SOLD!!! Mission Hills Home with Downtown and Bay Views on a Quiet Street! This home features Wood Flooring throughout except for the Master Suite, an Open Floor Plan with the Living Room, Family Room, and Dining Area all open to each other for a Great Spacious Feel, Multiple Patios and Decks with Canyon Views, New Vinyl Windows and Sliders, Newer Vanity in Second Bathroom with Granite Countertops, Focal Fireplace in Living Room, and Mirrored Closet Doors in the Second Bedroom. If YOU Want to Get Top Dollar for YOUR Property, Contact The Yarbrough Group TODAY For More Information!! !